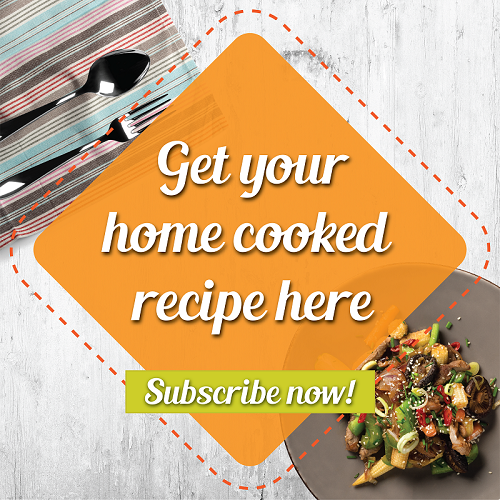 This week, we're sharing a classic Thai dish from our home cook Belinda Kirsten Tang who not only loves her Thai food but pop culture as well. 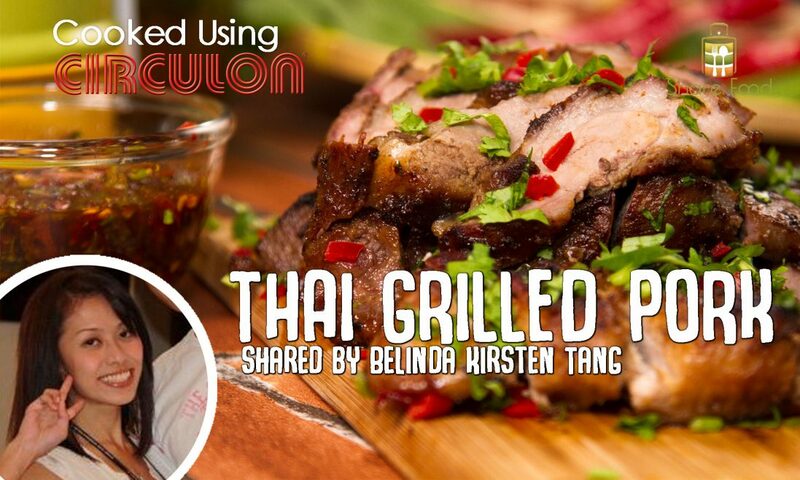 Even though Belinda doesn't speak a word of Thai, she brings to us her all time favourite Thai Grilled Pork recipe which she learnt from a N̂xng s̄āw (big sister) when she visited Bangkok! Succulent, juicy and simply irresistible! What's really important in this dish is its supporting dip which complements the robust taste of the grilled pork. A sour mix with a tinge of spice to pique those taste buds. We also modified the recipe slightly to offer a healthier option that didn't require the use of oil while cooking - but of course you'll need to have a good non-stick pan! Cook the meat thoroughly using medium low heat. Raise the heat to char the surface. 用中低火将五花肉煮熟， 然后用中火把外皮煮稍微焦.